So speak and so do as those who will be judged by the Law of Liberty! Anarchists and minarchists do a lot of bickering, but they have more in common than not. They are both for radically less government, and both often call themselves libertarians. While we should strive to, as much as possible, put aside the ideological differences and work towards our mutual goals, there is always some benefit to having friendly discussions about the virtues of the two philosophies. What follows is a sort of “intro” to anarchism (more specifically, anarcho-capitalism, or one of its plentiful synonyms such as capitalism, voluntaryism, or anti-statism) for minarchists. The basic moral premise of anti-statism is that no man should ever aggress against another man who has not first aggressed against him (the non-aggression principle, or NAP). Aggression, of course, includes stealing, or taking anything from a man against his will. Involuntary taxation, then, is a form of stealing by majoritarian consensus (or democracy). The penalty for refusing involuntary taxation is to be kidnapped against your will and thrown in a cage (jailed). To violently resist this would of course lead the state to kill you. The most basic inherent principle of the state, then, is violence and aggression, as it must be. Of course, many will say that everyone implicitly agrees to taxation via the social contract. However, this is a form of collectivism whereby the individual, even if radically opposed to the “social contract”, must conform. In other words, if I disagree with the contract, then it’s not really a contract, it is merely the imposition of force under a euphemism. Some believe that anarchism runs into a problem with hierarchy, for example, in religious institutions; however, anti-statism is not opposed to hierarchy. It is opposed to involuntary hierarchy. People are free to voluntarily submit themselves to any form of hierarchy, or even aggression, they so choose. The only stipulation is that the individual should always have the option to opt-in or out of a contract, as opposed to subjection to the will of the forceful collective. The case for government, then, is the utilitarian/pragmatic argument for risk mitigation. In other words, though we know it’s immoral to aggress against a peaceful individual for any reason, we will do it anyways, in order to defend against a supposed greater evil. Then again, as libertarians, we know that the utilitarian/pragmatic argument is always a compromise of principles. On the other hand, the basic economic premise of anti-statism is quite simple: government never does anything as economically efficiently as the private sector. In keeping with the principle of the “tragedy of the commons” – no man protects another man’s property (or money) as well as he protects his own. Most libertarians and even mainline conservatives will generally agree to this premise. The problem of course comes in the practical implementation of anti-statism. One useful conception, instead of “no government”, is complete privatization. So for example, we might privatize the taxpayer-subsidized city police force into a subscription-based force, whereby you and others in a community hire Force A to protect your homes. In fact, we would probably see a market for police forces – you might pay Force A to protect your home, and your neighbor might pay Force B to protect his home. The most important thing here is that you can truly vote with your dollar. If a cop from Force A abuses his power in some way, you would probably immediately withdraw your subscription to Force A and hire Force B alongside your neighbor. Cops in a private market would therefore NEVER have an incentive to abuse their power, as there is true accountability to the consumer. A state monopoly on force is not a good thing, it is demonstrably bad, for these reasons. In the same way, we might privatize the US military. So the Army, Navy, Marines, Air Force, Coast Guard, etc, might each be sold off (perhaps even in divisions of 50% or 10% or whatever) at market price to the highest bidder, such as Boeing or Lockheed. People of a region (say, the east coast) would subscribe to Boeing, Lockheed, or whichever force they feel most adequately and efficiently protects that region. One important piece of the puzzle is that if a defense force did start to act out of hand, we would expect its monetary base (its subscribers) to immediately rescind all monies and support from that force, and in fact to send their money to a competing force to protect them from force A. Thus it is in the rational best interests of each company to fulfill its contractual obligations to its subscribers and in fact to work together with the other companies on many things (reciprocity agreements, etc), even though they are market competitors. This addresses concerns about rogue private armies. Another important realization is that anti-statism, or anarchism, does not mean “no law”, it means “no rulers”. The law still prevails, no matter what. In this case, it would be the common law, which might be rooted in the NAP. Of course, the implication is that there would be private law agencies as well. We already have precedent for this today in private arbitration agencies. In fact, in studying ancient Israel (books of Judges, Samuel, etc), they had a very similar societal structure – without a king, government, or any ruler (other than God) – for 450 years. For some more specific solutions to some common questions and objections, here is a brief essay called “Objectivism and The State: An Open Letter to Ayn Rand“. It addresses a lot of these tougher issues in a way that Rand supporters can appreciate. It is of course natural to have reservations about all this. It’s natural to have questions and doubts as to whether there are solid answers or things could actually “work”. But the most important question to continually consider is this: which is the greater evil? Is it a greater evil to advocate a system whereby you inherently endorse theft from your neighbor, or a system where, whether or not the functional micro-details are all ironed out, you do not support said principles of aggression, violence, and immorality, which empirically and inevitably becomes the leviathan state we fight today? Do you stay true to your principles, or will you cave to the utilitarian, pragmatic argument of “compromise”? Nice to have you posting again. This is a very good summary of what your blog has taught thus far. Your principles have meant a lot to me these last few months. Your last paragraph here is a very good argument against the authorities in place today. I haven’t read the letter to Rand; I look forward to it! I’ve been writing on similar issues myself lately on my new blog (http://onfaithandauthority.blogspot.com/). I focus on how the church can hold to the Bible’s teachings on nonviolence and subjection to the authorities God has established while remaining spotless and faithful to Him alone. It’s generated some interesting discussions, particularly on God’s control of the world through evil men and whether Christians should pledge allegiance. Scott, thanks for the great comment. I had not read the Rothbard essay; while he raises some great points, I disagree with him generally because I myself was a minarchist, and I’m sure many others have traveled the same path. Now, certainly, many minarchists will never vacate their position (just as many rightist or leftists won’t), but I actually think minarchists are 90% of the way towards breaking the statist paradigm, whereas the others are much less “evolved”, for lack of a better word. Either way, and I hope this is a general takeaway from my post – I think anarchists and minarchists have more in union than in division, and would like to see the two parties work together as much as possible towards their mutual goals. Thanks for posting your blog, I look forward to reading it and encourage others to do the same! Thanks, I appreciate that! And I just read the letter to Rand–how incredibly inspiring. And so logical…but the task of helping others to put aside what they’ve always been taught in order to understand this logic is monumental. One step at a time…that’s why I started my blog. I’ve learned recently that these things must be done gently. Bluntness gets us nowhere. To me, from my understanding of Tolstoy’s The Kingdom of God is Within You and Jesus’s words, Christian anarchism is a personal belief and involves no action or judgment whatsoever, but complete submission to all violence and authority as a means of entering the kingdom. There are no arguments about statism or privatization because this world is temporary and therefore false. Practical implication means not voting and noncompliance with unjust laws such as the laws against cannabis and illegal taxation but only so long as one isn’t doing in a manner that would elicit a violent reaction from aggressors. There is no reason to protect treasures on earth which include one’s body, one’s land, one’s comfort, one’s children. Suffering is in the mind of those who are separate from god. Pain and loss are temporary illusions, not suffering. There is a reason Jesus advocated baptism and that is because the practice originally induced near-death-experiences. Only through such an experience can one truly become aware of the temporary false nature of this life. Until that realization occurs one is stuck in the cycle of life and death. Fortunately, NDE’s are not the only path to this realization, but they are the most profound and undeniable. One cannot be attached to this life and enter the kingdom, and hatred of this life is just reverse attachment, because hatred of this life is a result of one’s inability to have all of one’s attachments here. One must be content. One must love one’s enemy even as he/she is being attacked. One must be all. I’m afraid what this author calls “christianarchism” is actually radical, hard-core, “I Consciousness” über ales, Objectivism with a deceitful veneer of “christianity”. The anti-christianity of these ideas is belied by the reservation of the right to us force, either through privately held cops or through the private adjudicative “authorities”. As Tolstoy so clearly describes, Joshua called on us to walk away from Empire, dare I say civilization itself, and follow The Way, a path that puts us in sacrificial communion with one another. Rand’s Objectivist folly denies the fundamental self-sacrifice called for and lived through example by Christ and calls is evil. Of course, this need not; preferably not, involve the state in any form, function, or manner. The state is the play thing of those do not walk along The Way; those that seek their own gain to their own elevation over their brothers and sisters, and exploitation of the same. Objectivism denies community and the common good. And yes, the author will point the NAP as an underlying rule for his Objectivist (eco-apolcoplyptic) hell which, in theory, ought to be accepted and practiced by all. I ask, enforced by whom, how, to what end? I know – The Market. But here again we have creeping Empire; mammon rearing her ugly head to once again oppress the exploitable and dealing death to those that refuse. Until people adopt Gerrard Winstanley’s “New Law of Righteousness”, give up buying and selling in toto, and rather than gather and horde to the individual but share in a gift economy wherein the self is that which is distributed VOLUNTARILY to the community. This anarcho-communism is how our household operates and while admittedly a very small example, is how local communities could as well. This would be as close as we might get the The Kingdom lived. And it is what is called for in Acts. Ward (and Mickey), thank you for your comments. I, nor this site, claim to entirely follow Tolstoy’s brand of Christian “anarchism” – it is simply one inspiration. I would disagree with you (and Tolstoy) that the reservation of the right to defend oneself (or one’s family) against aggressors is “anti-Christian”. You yearn for voluntary anarcho-communism; I say, good! Voluntary anarcho-communism is a subset of anarcho-capitalism! When force is no longer required to make fellow men act in the “optimal” manner, we will be well on the right track. My only problem with the combination of anarchism and capitalism is that capitalism has a tendency to become totalitarian and exploitative as it is driven by a. greed, b. and the bottom line. In that it tends toward the bottom line, the reduction of production costs are central to the maximization of profit (greed). Unless one is a self-sustaining producer and seller of their wares, one must hire help which creates a power relationship. Hence we have entered the realm of the unChristian relation between free, equal individuals living and working in “The Kingdom”. That is, one “lording it over another” for their own, personal gain to the exclusion of the community. “Capitalism” can be practiced by Christians unless by capitalism you mean sole proprietors engaged in both the production and distribution of real things. Therefore, while capitalism may be an amazing way to get things done and make vast sums of wealth, it is inherently anti-christ. And don’t give me the false, “prosperity gospel” line about the parable of the talents. That is allegorical lesson designed to teach the follower of The Way about faith and evangelism, not an economics lesson in the morality of the market. Take notice that this self-sustaining producer is a capitalist. The one who must hire, the employer, also of course a capitalist. But I think you’ve missed the fact that the employee is a capitalist as well. The employee sells his services in the market for the best price. If he believes he is being exploited (too low wage, for example), he can take his services to another. The employer and the employee are no different; they are both capitalists. The employer-employee relationship does not inherently produce the “lording it over another” issue, just as a producer selling to a consumer does not; that is an issue of the heart. Hi Mickey, I studied a bit of Tolstoy myself this year. I like your summary of what he had to say. I don’t agree with his theology at all, but I find his practical applications useful. Would somebody like Ron Paul (who I strongly suspect is a Market Anarchist) be going against Jesus’ doctrine of not being a ruler (Paul is seeking to become President)? Also do you believe a Christian Anarchist is essentially an Agorist? 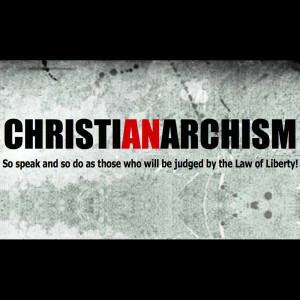 I would say the ultimate goal of a Christian Anarchist is obedience to God. I would say the political manifestation of that is something like agorism. I don’t believe somebody like Ron Paul would be sinning in this context. I too believe he is a voluntaryist. But I believe he is using the means at his disposal to exemplify to the public how to be Christ-like. But only God knows his heart. Wait maybe I’m mistaken…Jesus said not to be an Archist which is essentially a statist (worshipper of the state) but what about an Archon? The Bible does say these institutions have their place (although a coercive state I believe is unbiblical) and RP is probably just using it to lessen control on the people, privatize the economy, and teach the public about voluntaryism and self-government. Have you read Jim Fedako’s article on LewRockwell.com on Romans 13?
. . . we will not have a “free” society, grounded in ‘liberty’. It is this community and our service to it that guarantees this liberty; this freedom. And no, this is not the same thing that the state does. The state, as the author rightfully argues, exercises violence and calls it peace and protection. A great article, yet I am cautious that a free market system could produce the desired results – I believe that a serious redistribution of finance from the top to the bottom is needed in order to avoid the corporate-archy that this article seems to advocate. Yet the guiding principle of NAP I fully agree with, and it has given me some insight into anarchism and the moral basis it advocates. I guess I came across the right website… seeing Tolstoy and Winstanley (my favorite writers) being mentioned! Wow! As has been noted, this “appeal to Libertarians” does not represent Christian anarchism but Ayn Rand’s selfish, radical individualist, Objectivist, unbridled capitalism, which is about as far from biblical Christianity as can be. Peter, thanks for your input, although I’m afraid it is free of any meaningful insight or correction. I disagree, of course, that Liberty is anti-Christianity. Regarding Rand, perhaps you did not notice that there is a rebuke of Rand directly linked in this article. © 2019 Christianarchism. All Rights Reserved.